The Sky Lease cargo plane overshot the runway just after 5:00 am as it made a scheduled landing on a flight from Chicago. The plane was supposed to pick up a shipment and then fly to China. 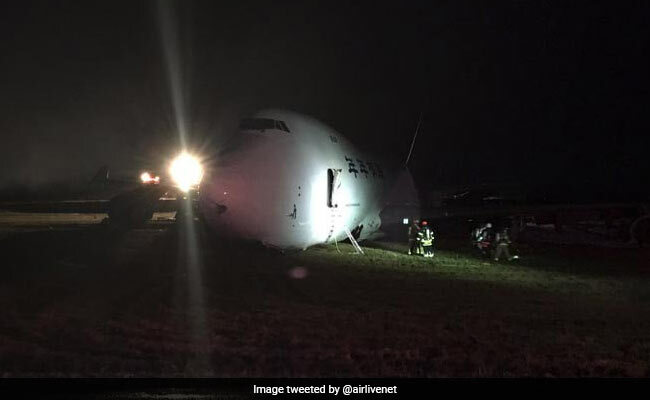 A Boeing 747 cargo jet went off the runway at the Halifax airport in eastern Canada early Wednesday morning, causing minor injuries to the four-member crew and forcing the temporary closure of the airfield. The airport resumed operations three hours after the accident but dozens of flights were delayed or cancelled.